Westminster colleagues take note: Pantheon author David Reich will be discussing his groundbreaking book, WHO WE ARE AND HOW WE GOT HERE: Ancient DNA and the New Science of the Human Past, on Thursday, April 26, in Washington, D.C in the Rasmuson Theater at the National Museum of the American Indian, as part of the Smithsonian Inside Science Program. The event will begin at 6:45 p.m., with Reich’s talk followed by a book signing. 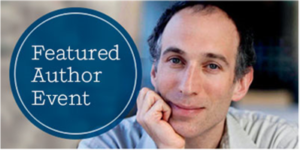 David Reich, Professor of Genetics at Harvard Medical School, and a Howard Hughes Medical Institute Investigator, is one of the world’s leading pioneers in analyzing ancient human DNA. In a 2015 article in Nature, he was names on of ten people who matter in all of the sciences for his contribution to transforming ancient DNA data “from niche pursuit to industrial process.” Awards he has received include the Newcomb Cleveland Prize from the American Association for the Advancement of Science and the Dan David Prize in the Archaeological and Natural Sciences for his computational discovery of intermixing between Neanderthals and Homo sapiens.